At DBS, we specialize in crawl space repair. We can install covered crawl space access wells that will not allow water to leak into your crawl space and will never rust, rot, or corrode. We offer free estimates throughout Duluth Superior Area - schedule yours today! If you're interested in installing access wells or completing any kind of crawl space project, DBS has the experience and tools needed to repair your crawl space and keep your home safe and dry. Call us at 1-855-259-9625 or contact us online to schedule a free estimate! 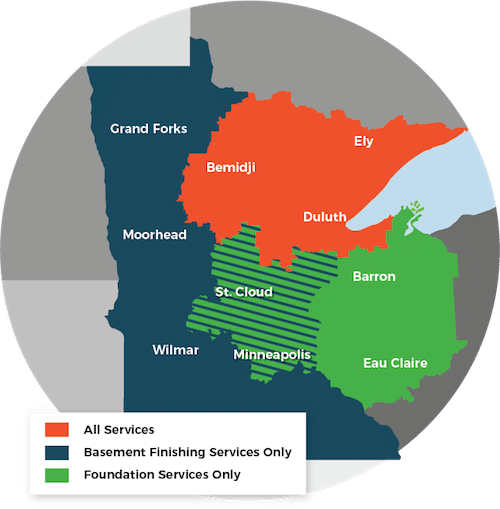 We serve homeowners in Superior, Duluth, Minneapolis and areas nearby.